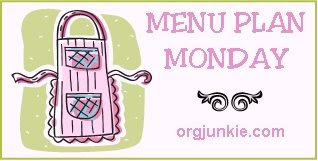 View more menu plans at Org Junkie's Menu Plan Monday! What are you cooking this week? Let me know! One can't definitely go wrong with chicken. It's so affordable. I stocked up this weekend.